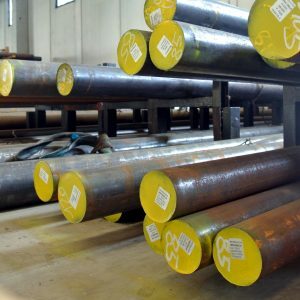 A characteristic of these steels is their low carbon content, which is maintained in order to obtain a tough core after quenching an pering and good machinability after annealing. They have an extremely wide range of use and the profile of the pieces is usually plex. For this reason machining is carried out before case-hardening and quenching and tempering. 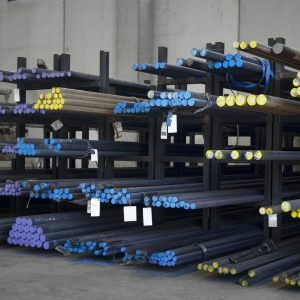 Case-hardening is usually carried out at temperatures from 870 °C to 930 °C and always above Ac3. Austenitizing at higher temperatures in order to speed up the process is not recommended, as this would lead to grain coarsening, which in turn causes brittleness. The fine grain reduces quenching deformations and in order to achieve this there must be a precipitation of aluminium nitrides at the grain boundary (carbonitriding). The precipitation works as a barrier and oppose grain coarsening. This treatment is also known as carburizing; as its name suggests, it consists of adding carbon to the surface. A suggestion is made concerning the permanence time at temperature. It should be noted that chromium and molybdenum steels harden more quickly and deeply, whilst those with nickel need longer times. The control of the case-hardening depth is carried out on small bars, known as case-hardening samples, which follow the pieces during the various phases and are then broken to verify the fracture, or polished and observed with a microscope to verify the case-har depth.